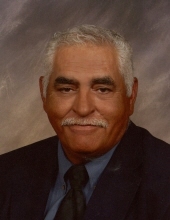 John L. Locklear 72, was born: May 6, 1946, and reborn in Christ on October 17, 1997 and passed into eternity on Saturday, February 2, 2019. John was preceded in death by his parents: Lonnie Locklear, and Rebecca (Sally Mae) Burns Locklear and two brothers, Earl Howard and Lonnie Jr. who died in early childhood. He is survived by his wife of 51 years, Judy Annette Locklear of Shannon and sons: Patrick Owen Locklear (Wife) Annette of Shannon, NC, and Vance Locklear (Wife) Allison of Shannon and his sisters, Annie Lewis of Red Springs, Margie Kirkendoll of Fayetteville, and Mary Jacobs of Red Springs, five grandchildren: Savannah Alyss Locklear, Canyon Lee Locklear, Trinity Cheyanne Locklear, Destiny Rhyanne Locklear, Jersey Raine Locklear, and a host of other relatives and many friends. John was a true Shannonite. Although he spent some time in Greensboro, and Florida, John loved his hometown of Shannon where his family roots were. John retired from his construction business where he was a carpenter for many years, and became a loving grandpa. His favorite hobbies were fishing, hunting and chatting with his many friends at J’s Mini Mart in Shannon, but most of all he loved spending time with his grandkids who were the joy of his life. He joined Shannon Assembly of God church December 21, 1997 where he was a faithful member until his illness and passing. To send flowers or a remembrance gift to the family of John L. Locklear, please visit our Tribute Store. "Email Address" would like to share the life celebration of John L. Locklear. Click on the "link" to go to share a favorite memory or leave a condolence message for the family.